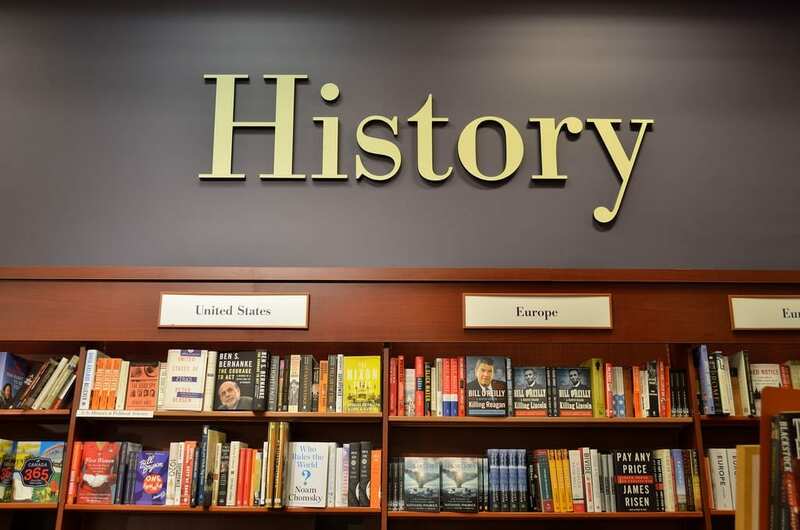 The study of history at UK universities remains “overwhelmingly white”, due to the lack of representation from BAME backgrounds, according to the Royal Historical Society (RHS). It’s looked into racial diversity in history departments claiming there are, “substantial levels of bias and discriminations experienced by historians in UK universities”. The report found that 11% of students on historical and philosophical courses were from BAME backgrounds, compared to 24% for the overall undergraduate population. This includes history, archaeology, heritage studies, philosophy and theology. This proportion shrinks even further to 8.6% at postgraduate level, compared to an average of 17% for all other subjects. The RHS says 94% of teaching staff are white, and just 0.5% are from a black background. There is greater diversity at the University of Manchester’s history department where six of the 50 staff – or 12% – are from BAME backgrounds. But department head Dr Charles Insley described this as “far from ideal”, and said the department was “working hard to implement the recommendations of the report”. It has also introduced a number of measures to improve representation of BAME students, and it was praised in the report for its ‘Race, Roots and Resistance’ initiative which shares research and teaching practices, as well as organising events and film screenings, on the themes of race. Dr Eloise Moss, a lecturer in Modern British History at Manchester, is working with Danielle Chavrimoottoo and other teaching staff from the School of Arts Languages and Cultures, to establish the Equality and Diversity Team which will seek to identify any areas of racial discrimination. In a statement Dr Moss emphasised their determination to “not let the issue rest or to be dismissed with a few token gestures”. The foremost of these recommendations by the RHS was addressing the nature of the curriculums for history courses. The University of Manchester Equality and Diversity team are currently “collectively auditing” the content of their courses, through surveys and focus groups, in order to reform the curriculum for future years. According to Dr Moss, this initiative will aim to ensure the “histories of BAME historical actors, is represented in teaching and research materials – and not exclusively in the context of histories of enslavement and victimhood”. As well as improving representation in curricula, the report criticises the national prevalence of explicit racism that history students and staff feel they experience. Accusations of exclusionary behaviour by white staff in meetings and seminars as well as stereotyping of teaching staff from BAME backgrounds; assuming that their specialism is related to their race and ethnicity. In a situation whereby academic staff in history departments in the UK are 93.7% white, although the proportion in Manchester is lower at 88%, Dr Moss is aiming to create an environment whereby all “BAME staff and students have equal opportunities” in the academic profession. Dr Insley has said that as well as the efforts to diversify the course of study available to students, the history department aims to “raise the profile of BAME students” through “developing a strategy to engage with local high schools to encourage teenagers to take arts and humanities courses after the age of 16”. The RHS report, however, also highlights the lack of diversity in the postgraduate levels of historical and philosophical study. Calling for history teaching staff to better “facilitate student progression into postgraduate study”. Out of a total of 4,670 students undertaking postgraduate research in historical and philosophical areas in the UK, only 402 are from all BAME backgrounds, and just 10 of the history PhD students are black. Dr Moss has stated that Manchester are trying to create a more “attractive research environment” for BAME postgraduates. As well as hoping that the changes to the undergraduate curricula will result in more recruitment into masters and PhD courses, the team are engaging in more “open conversations” with current MA and PhD students about the findings of the Report in order to “encourage an open culture of discussing experiences of discrimination”.